One of the reasons I love Fall is because it’s the season of many festivities. 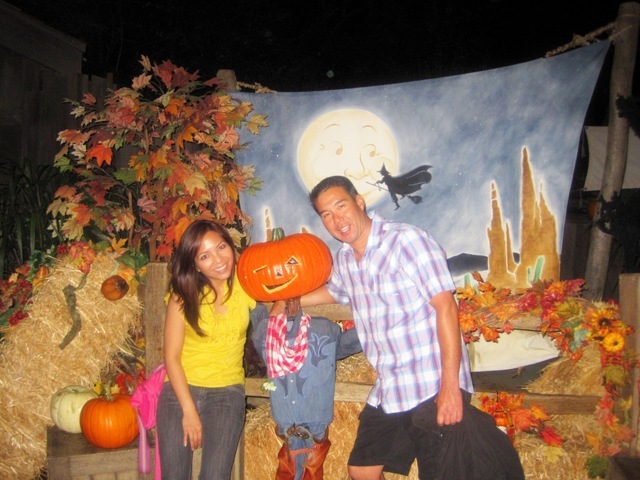 Since leaves don’t really change color in L.A., the first sign of fall for me are the colorful pumpkins. I see them being displayed at stores, then next I see the pumpkin patch locations in the neighborhood but the biggest sign of fall is the biggest pumpkin I’ve ever seen, which is at Disneyland. Another reason I like Fall season is the seasonal foods that I look forward to eating. Pumpkin flavors are everywhere. Pumpkin butters, pumpkin soups, pumpkin lattes and etc. Being festive and using seasonal ingredients is part of the fun of experimenting in the kitchen. On low heat, stir brown sugar, agave and coconut oil until thin. 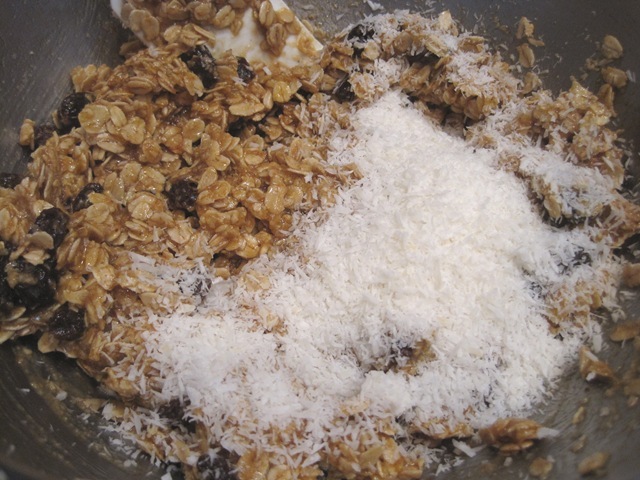 In a large mixing bowl, combine all other ingredients and pour the sugar mixture on top. Mix until smooth. Spread batter in prepared baking pan and bake for approximately 25 minutes until bars are cooked all the way through. The bars are chewy and best served at room temperature. * The pumpkin butter is very sweet (for me). So I think next time I would exclude all the sugar and double the Pumpkin butter amount. Um, yum! Cute pics of you guys by the way. Ooh those look delicious. You look so pretty in your pictures by the way. 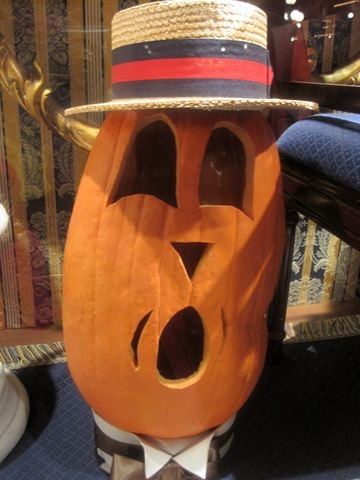 I’m jealous of your pumpkin sightseeing. Those pictures are so cute! That recipe looks delicious! I just realized you live down south. I live in Santa Cruz, like 5-6 hours north of LA. Just puttin’ it out there, if you’re ever around my area we should TOTALLY meet up. And eat coconut, lots of it 🙂 I’ll do the same if i’m ever in your area. Pumpkin spice bars….there’s simply no words, they look utterly amazing. After I finish off the batch of coconut granola and find some spare time (which is HARD), I’ll def give these a try 🙂 Love pumpkin, especially paired with coconut :)! You should check out my blog. I just posted a recipe for Thai-coconut soup which I think you’ll REALLY enjoy. Another Cali girl! I’m in Sunnyvale! Those pumpkin bars look delish! It was on my to-do list to make a different pumpkin coconut bar recipe this weekend, but I didn’t have all the ingredients..bummer! I’ll check out the Thai-coconut soup, sounds yummy! I love anything Disney! I love how they decorated for Halloween! So cute! 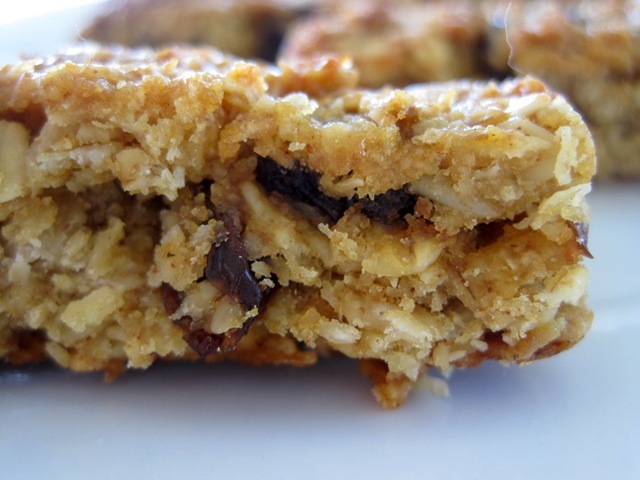 Those pumpkin coconut raisin bars look amazing! Ohhh why have I not tried a pumpkin and coconut combination?? That sounds divine! 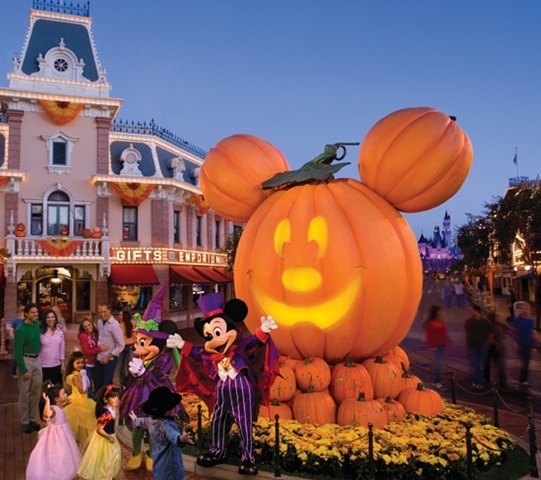 love the halloween disney pictures, so cute! Those bars sound really tasty. Do you think you could use canned pumpkin puree instead of pumpkin butter. 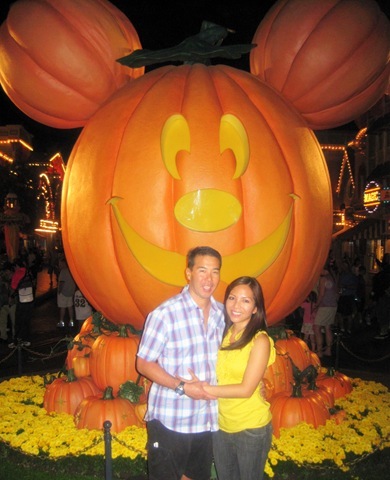 I didn’t know that Disneyland gets decked out with pumpkins at this time of the year. It looks so cute and fun! 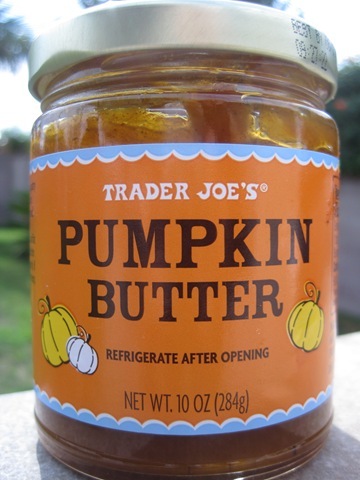 I need to get myself some pumpkin butter next time I’m at TJ’s. Still haven’t tried it! Hi Lin, thanks 🙂 Also, there’s a Santa hat on skeleton because during the fall season through the end of the year, Disneyland transforms it into Haunted Mansion Holiday. 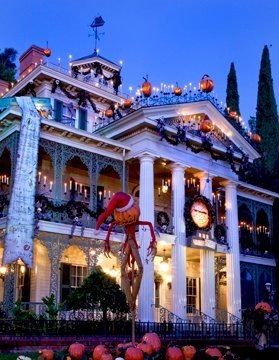 It’s based on “Tim Burton’s The Nightmare Before Christmas,” the ride will have mix decorations between Halloween and Christmas, i.e. ghosts & snows. those bars sound OH SO GOOD!! i was just talking about disney world today. wish i was there!! oh how i loooove disney during the holidays! 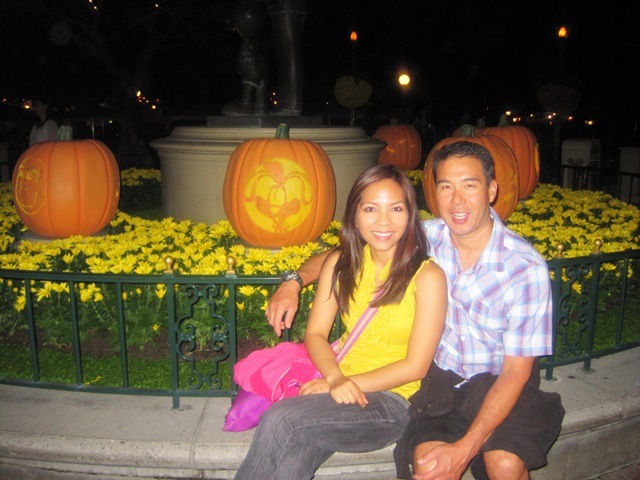 We had Disneyland passes last year and loved visiting the park to see how it changes with the seasons, from the flowers to the decorations. I think this is the only time of the year that the Haunted Mansion has such a long line! Those pumpkin bars look fabulous. A definite must try! 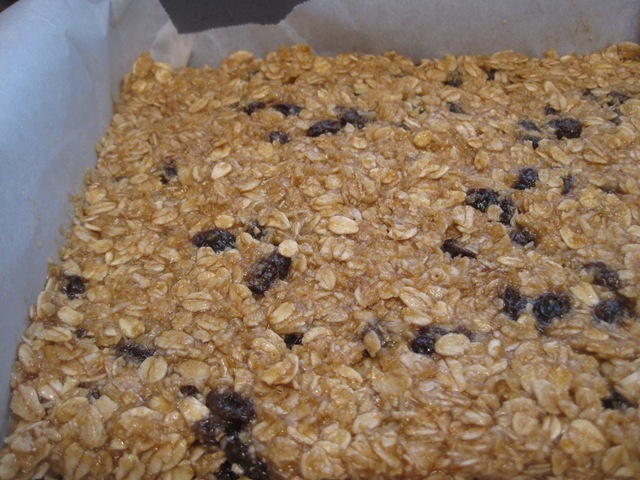 these bars look delicious:) i can almost smell it…. i really miss disneyland.. it had been ages. I’m not the biggest raisin kind of girl, but I was wondering how good the pumpkin and coconut combo would be? I mean… it looks fantastic! 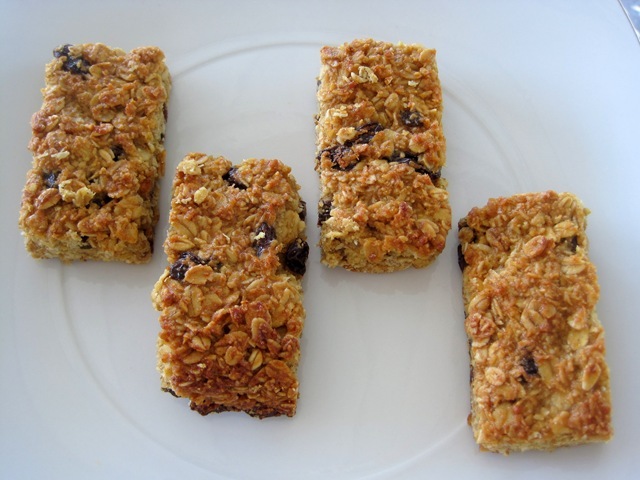 Hi Amy, the raisins added sweetness and great chewy texture to the bars. 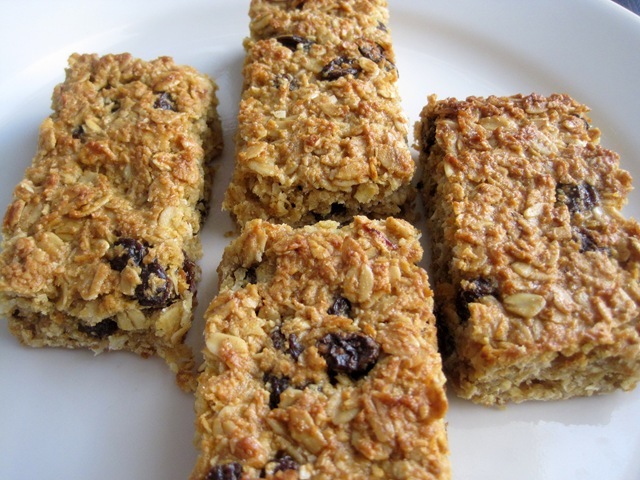 If you’re going exclude it, then maybe add a little bit more sweetener if you like sweet snack bars or substitute it with chocolate chips? The pumpkin butter I used was already sweet. I am actually out of raisins and thinking of using chopped dates or sweetened coconuts next time. Oh yeah, that sounds tasty too. I always see dried figs at Trader Joe’s and didn’t really think of baking with them. Thanks for the suggestion. These look wonderful! I’ll definitely be making up a batch this week. Thanks for sharing! Hi Kelsey, thanks for stopping by my blog. I hope you like the bars. Let me know how it goes. 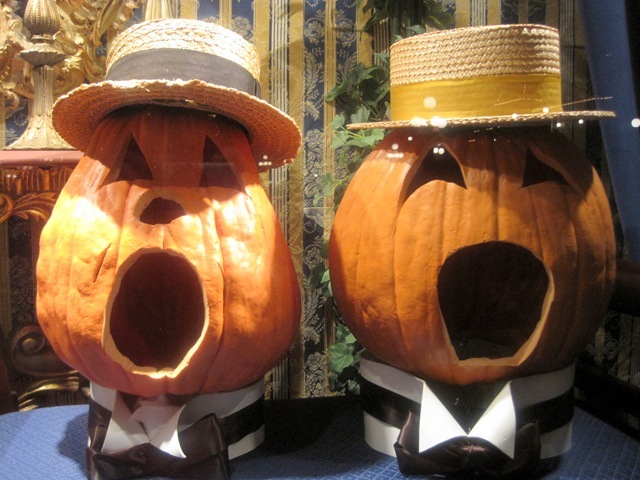 They look great but I’ve never tried pumpkin. Coconut and raisins sounds great. May have to try some pumpkin next time they are in the supermarkets.